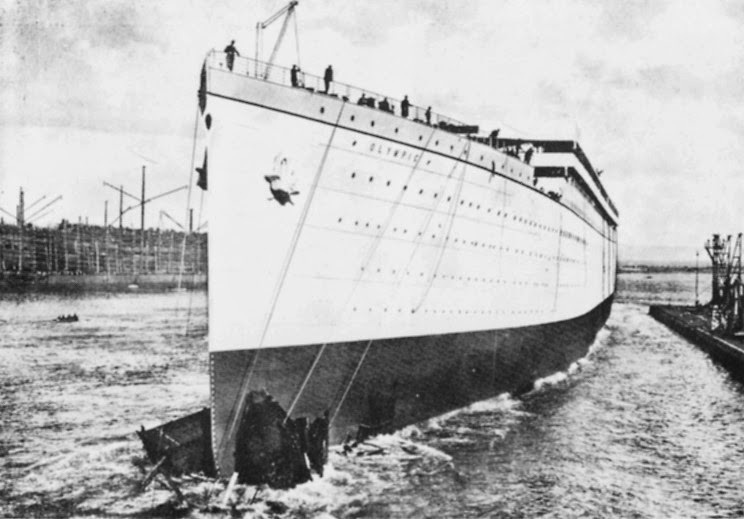 TITANIC: History's Most Famous Ship: October 20, 1910: Olympic is Launched! October 20, 1910: Olympic is Launched! Olympic and Titanic beneath the gantry. Olympic and Titanic's empty hulls have been under construction beneath the gantry for 2 years. They were the biggest ocean liners ever to be built side by side. On October 20, 1910, Harland and Wolff and the White Star Line launched the Olympic into the Lagan River that runs beside the ship yard and into Belfast lough. 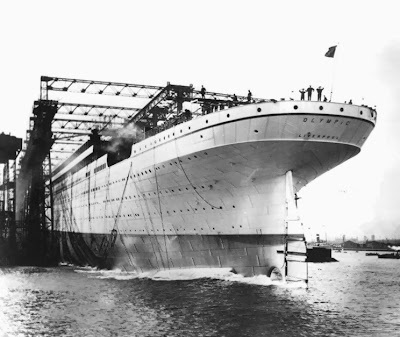 She was the first of the Olympic Class Liners to be launched, and White Star expected a lot of publicity from just the launch alone. 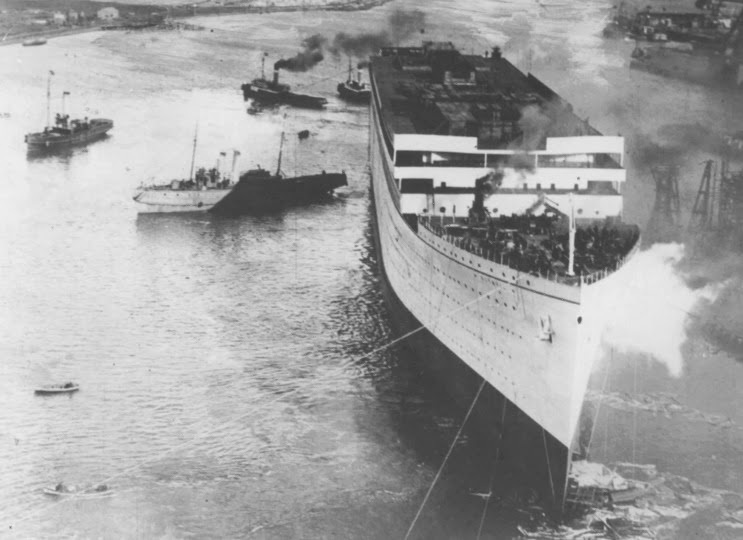 Olympic being launched from the slipway. "They just builds ' er and shoves ' er in." Olympic's hull coming to a stop in the Lagan River. 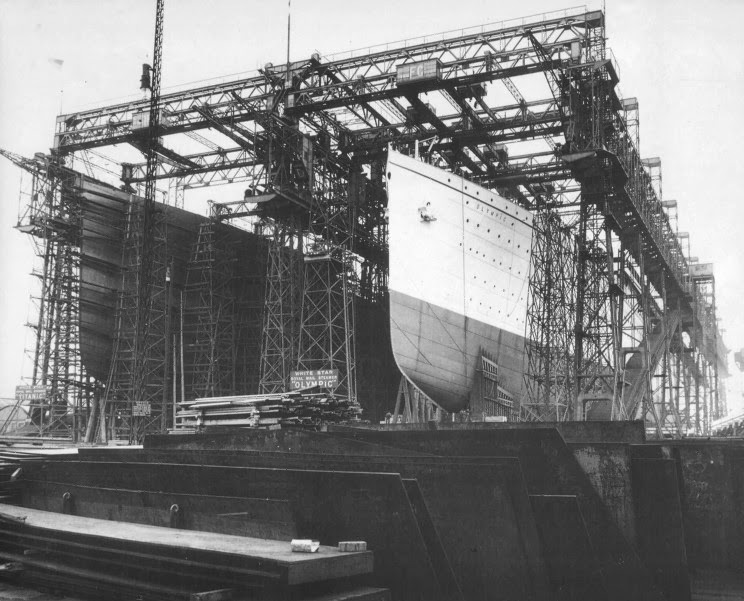 Once Olympic came to a stop, the massive floating hull was towed to the fitting out basin for completion. It will take 7 months to transform this empty hull into a floating palace. Olympic's hull being towed to the fitting out basin.